Everyone enjoyed themselves at Grow at the SNC. Some children really stood out from others asking Kev the tutor so many different questions. 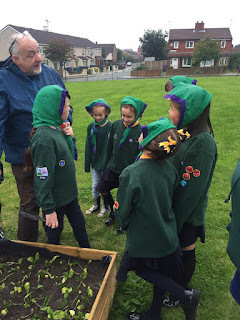 We will be seeing the children at Riverview Development Trust sometime in Spring to plant out more delicious vegetables. In the meantime we have handed the garden over to the 3 groups that are based at the centre which are the local Beaver and scouts group, and another group called SPLICE so that they can maintain the garden over the winter months.